Informetric Systems Announces 4.0 Reporting Engine – INFORMETRIC SYSTEMS INC.
Informetric Systems Inc. has announced InfoBatch 4.0, which will be the first commercial release incorporating the company’s 4.0 reporting engine. The 4.0 engine will be subsequently released with AgileDoc and RQMS products. 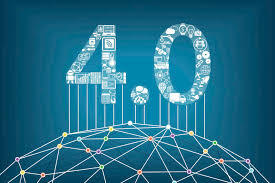 InfoBatch 4.0 incorporates significant enhancements related to data integrity, configuration management and report execution. Highlights include an entirely new configuration environment that simplifies the learning curve for new users, as well as an updated web server with a new look-and-feel. Much of the release focuses on configuration management. All report configuration is managed under change-control in a secure, versionable database. Report queries, expressions and layouts can be managed with version control in a new library and propagated to multiple reports while conforming to rigorous lifecycle management principles. This new approach encourages configuration re-use and streamlines testing/validation. The Report History feature allows sites to selectively historize report data and output. The Report History can be used for system integration, data mining and additional production traceability. InfoBatch 4.0 has been released in beta with the formal release planned for March 31, 2019. Contact sales@informetric.com to request additional information or to inquire about participation in the beta program.